The United States is the land of the free and the home of the… beautiful lawn? Across the country, there are endless swaths of lush and healthy lawns. The pristine green landscapes are the proud features of many college universities, residential homes, and historical buildings. While there are certainly some stunning landscapes to be celebrated in each of the fifty states, here are a few of the most beautiful lawns that the United States has to offer. 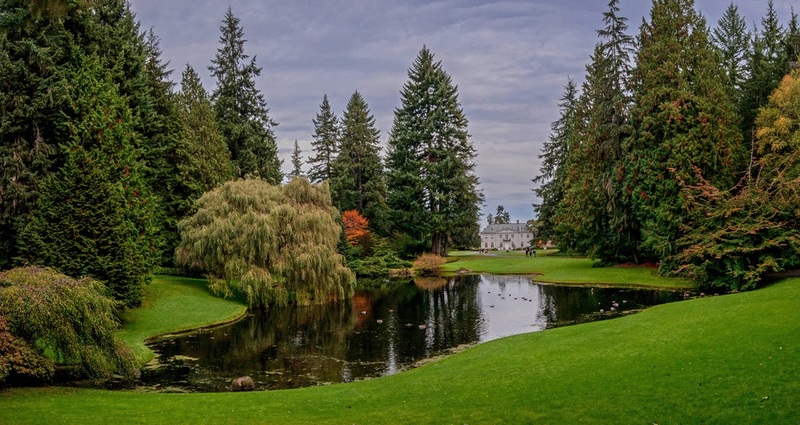 This Washington-state public garden is a breathtaking example of horticultural excellence. The flowing lawns have been maintained without herbicides and are bordered by the commanding presence of tall pines. One popular area of the reserve features a Checkerboard lawn — concrete squares placed intricately amongst the healthy grass. The striking contrast between the white of the presidential home along with the rich green color of the healthy lawn has made for a beautiful backdrop for millions of annual photos. The lawn has held many famous historical events, and currently provides an area for many political and social functions. With its design dating back several decades, the beautiful lawn has, and most likely will continue to be, one of the most well-known horticultural masterpieces. Central Park — the colloquial American lawn and one of the most famous green spaces in the entire world. The great lawn covers 55 acres and is comprised of a healthy mix of high-quality fescue and bluegrass. The smaller 15 acre Sheep Meadow preserve is a popular area for picnickers, sunbathers, kite flyers, and anyone else who wants to revel in the sights of the fine green grass surrounded by the New York City skyline. The rolling green landscape of this Kentucky farm could be considered the epitome of beautiful American lawns. The rich and healthy Kentucky bluegrass covers over 120 acres of the farm’s property and could easily be incorporated into a picture-perfect postcard. This famous green space was designed by the founder of the University Thomas Jefferson and reflects his interest in Neoclassical and Palladian architecture. The well looked after grassy expanse is considered to be a U.S. National Historic Landmark District and the symbolic center of the University. The perfect lush lawn is typically where the eye falls upon when viewing the Biltmore House. This North Carolina estate features a front lawn with what could easily be considered the greenest grass in the country — a mix of tall fescue and bluegrass. The perfectly symmetrical stripes of the lawn makes for a luxurious focal point in a view of the grand mansion itself. Located just outside of Philadelphia in the town of Wayne, this 48 acre botanical garden is a picturesque place for walking and picnics. Not only are there many gardens to explore, but there are also several formal areas of lush lawn. The sleek appearance of the bluegrass and fescue mix is due in part to the always changing mowing patterns that keep the soil healthy and loose. The famous Serpentine area of the pleasure garden features a variety of aesthetically-pleasing crops — as well as comfy chairs to take in the breathtaking sights. As the name suggests, the former pasture land is a breathtaking aspect of this Pennsylvanian public garden. The sprawling grassy area is peaceful and serene — a perfect place for a walk or just to gaze at the lush vegetation. Just south of San Francisco, this Californian country house boasts over 16 acres of gorgeously stunning gardens and lawns. 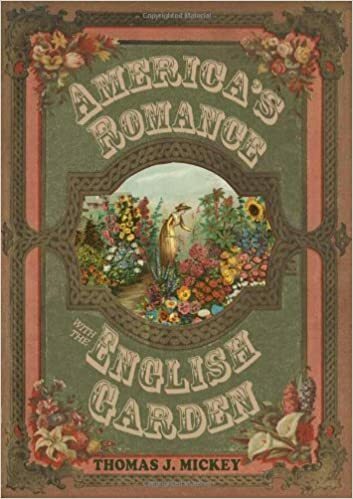 Considered a historical landmark, the well-maintained lawns accompany reflecting pools and rose gardens and perfectly exemplify the blending of the Anglo-American gardening style. An aerial view of this South Carolina plantation is the best way to see its magnificent lawn. As one of America’s oldest and most famous landscapes, it still boasts the turf terraces that were initially carved in 1741. The rich mixture of Charleston and centipede grass makes for beautiful shades of green that aren’t found elsewhere. Oil tycoon John D. Rockefeller built this spectacular Hudson River Valley, New York property in the early 1900’s. It has retained its splendor ever since. 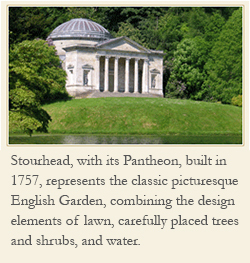 The gardens and lawns are considered to be some of the best in the world, bringing great fame to their designer. The front lawn is manicured to perfection and is one of the many highlights of the National Trust estate. When one thinks of traditional American landscapes, a lush and well maintained lawn is usually part of the scene. As you can see, there are many such examples across the country that show what the lawn can do for the landscape. For more articles about the lawn and garden from Mark, check out the Company’s blog.